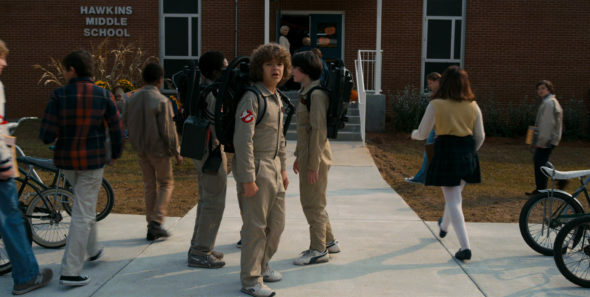 What’s in store for Stranger Things? Recently, creators Matt and Ross Duffer spoke with Variety about season two of the Netflix TV show. The new season of the supernatural drama will feature returning cast members Winona Ryder, David Harbour, Millie Bobby Brown, Finn Wolfhard, Gaten Matarazzo, and Caleb McLaughlin in addition to new stars Brett Gelman, Sean Astin, Linnea Berthelsen, Dacre Montgomery, and Sadie Sink. Season two of Stranger Things premieres on Netflix on October 31st. What do you think? Are you a fan of Stranger Things? What do you want to happen in season two? Stranger Things: Will Millie Bobby Brown Be in Second Season of Netflix Series?